There are not many décor options that are fitting and usable when it comes to the bathrooms. It is that room in every home that almost has the same necessities. 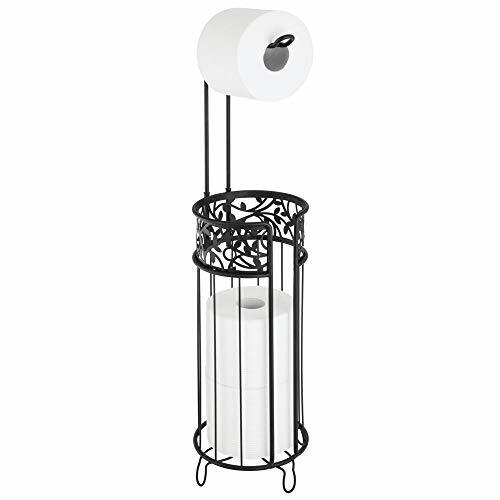 And with all this, an accessory that may not be among the most exciting but is a necessity for every home is the toilet paper holder. When it comes to bathroom appearances, toilet paper holder can make all the difference. The toilet paper holder is an essential accessory in the bathroom not just for holding your papers, but it is also aesthetically pleasing as it enhances the look of your bathroom. If you are about to shop for toilet paper holder, you have come to the right place. We will review the top 9 toilet paper holders to make this choice easier for you. The InterDesign Twigz FreeStanding Toilet Paper Holder is a great bath ware that provides a contemporary touch to your bathroom. Made out of stainless steel, it offers a vintage look with the natural leaf and twig design. 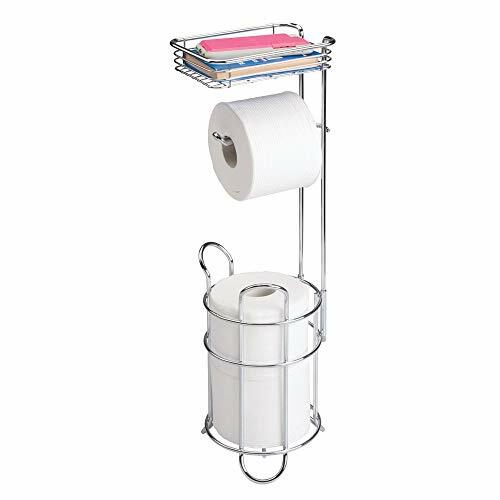 The storage holder and wire dispenser mechanism allow you to change rolls quickly, and it also comes with an extra storage tower that can hold about three spare toilet rolls. 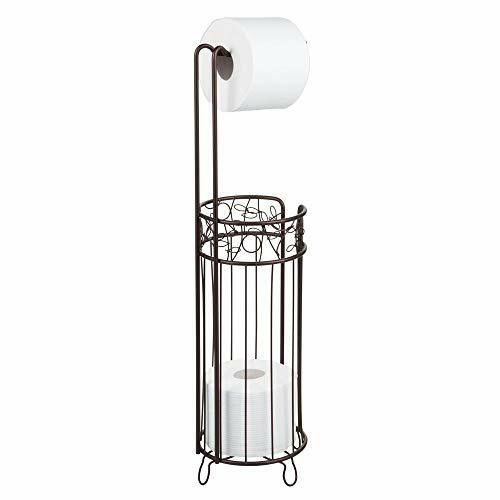 This modern and decorative standing toilet paper holder gives your bathroom that natural feeling. This Bosszi Toilet Paper Holder is another bestseller standing paper holder available on the market today. It is made of stainless steel with an aluminum finishing making it appealing to the eye, durable, and avoids leaving a fingerprint. The toilet paper holder has a modern, elegant, and straightforward look and the holder can freely rotate in your desired direction. Bosszi backs the holder, and they can always replace the faulty product or refund purchase. The KES Toilet Paper Holder comes with premium-grade stainless steel and a highly reflecting chromium finish that protects it against rust & corrosion. The finishing compliments also make it perfect for any bathroom styles irrespective of the size and design. The installation process is straightforward as it requires just one to two screws; this means that there is little damage to the wall and once correctly installed, it will last for a long time. And it is comfortable to use by both children and adults. 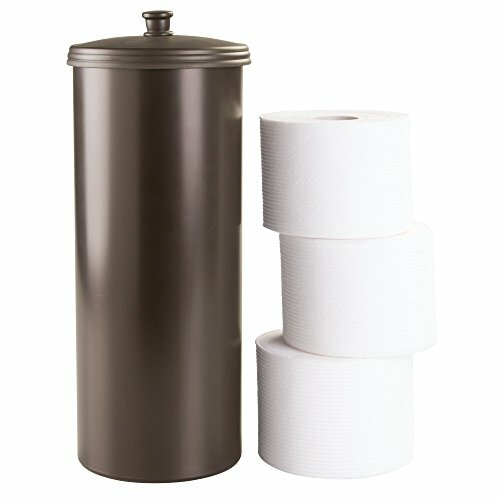 The Moen Preston Paper Holder is an excellent accessory that gives your bathroom that unique look. The toilet paper holder designed out of high-quality zinc alloy post has a long-lasting performance, and the triple plated castings offer you durability. The open-arm design feature makes it easy to change paper rolls as it doesn’t require any tedious mechanisms, you can slide the paper rolls. 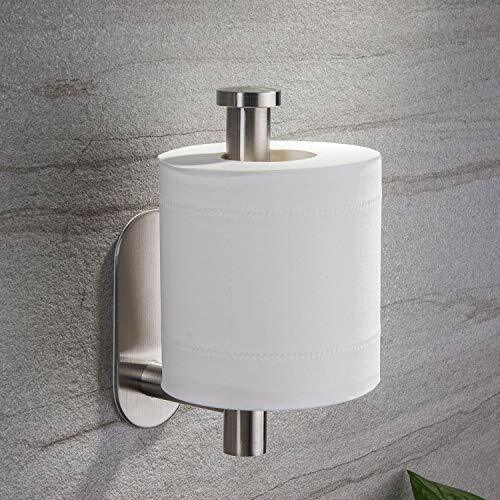 HOMEIDEAS Self Adhesive Toilet Paper Roll Holder is an all-metal stainless steel toilet paper holder that is durable and sturdy. The SUS 304 stainless steel mixed with nickel and chromium content prevents the toilet paper holder from corrosion and rust. Its modern and stylish look brings authenticity to your bathroom. You don’t need to drill a hole in your wall when mounting because it has strong adhesiveness and it won’t drop. The brushed finish resists scratches makes it looks more beautiful and elegant that it can fit your home. The InterDesign Classico FreeStanding Toilet Paper Holder is a bathroom accessory that combines careful detailing fine and straightforward design lines architectural forms. It is a sculptural and functional toilet paper holder that offers a modern visual appeal. The toilet roll dispenser can accommodate four spare rolls, and the space saving 2-in-1 constructions provide a metal arm for releasing a single turn with a brilliant swivel fit. It is perfect for compact bathrooms where cabinet storage space is a problem. Durable, economical, and high-quality, the Sendida Bathroom Toilet Paper Holder offers the top quality for your dollar. Coming with stainless steel and polished chrome, the toilet paper holder, is heavy-duty, waterproof, anti-rust, and perfect to use around the sink. You can easily install it without requiring the help of any professional because it uses adhesive tape and you won’t have to damage your wall. It has a multiple use shelf that is great for holding a smartphone, and the paper rolls hanger can contain big paper rolls excluding the mega ones. The Moen Toilet Paper Holder provides a modernized solution for safety in your bathroom. It supports about 250 pounds, and the grab bar has a paper holder that offers convenience. 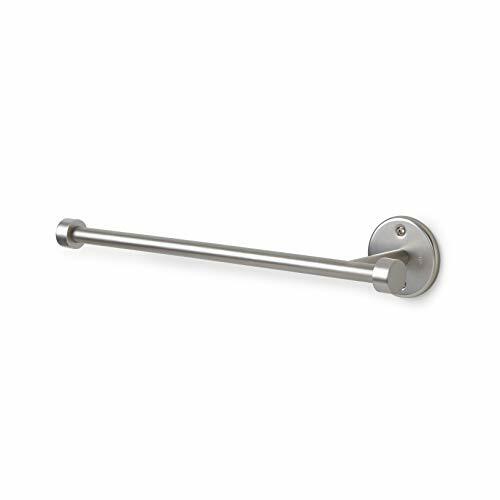 It is easy to install at any preferable angle, and the brushed nickel of this stainless steel toilet paper holder complements most bathroom décor. 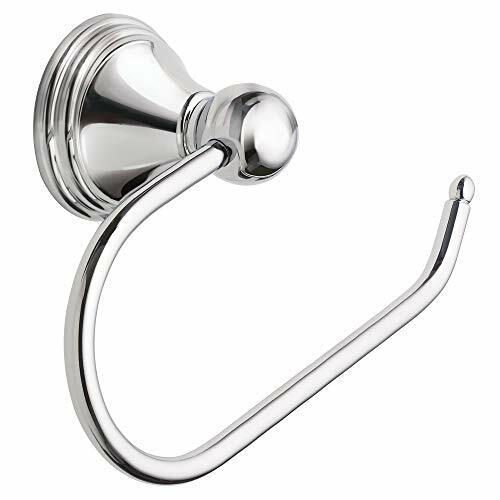 The grab is available in three different attractive finishes, and they include old world bronze, warm brushed nickel, and mirror-like chrome finish. 8-inch grab bar supports up to 250 lbs. With its transitional style and pivoting design, the Moen Voss Paper Holder brings ageless charm and crisp edges to your bathroom. With a rich-rubbed bronze, warm brushed nickel finishes, this toilet paper holder offers your bath a fashion-forward look. It has a convenient pivoting design that makes it easy for you to change paper rolls, and there is no need to deals with difficult spring mechanisms that come with others. The corrosion resistant finish makes the Moen Voss Pivoting Paper Holder shine, and the metal mounting post enhances its durability. These are the top nine toilet paper holder. You can select the ideal one depending on your needs. A good toilet paper should be comfortable to use, durable, and make your bathroom a little different than everyone else. If you choose any of this nine toilet paper holder for your home, you will also discover that it adds style and give your bathroom that modern look.